CKD Galbraith today announced the appointment of Pam Over as chief executive officer. The firm also announced a significant rise in annual revenue and profit as the business continues to build on its success in the commercial, energy, residential and rural property sectors. Mrs Over is currently Chief Operating Officer and leads the commercial property division. From January 2017 she will succeed Tim Kirkwood, who has led the firm as chief executive for more than 20 years. Tim will remain a partner with the firm and will focus on his portfolio of clients in the rural sector. In the year to 1st April 2016, the firm's revenues grew by 5.4% to just under 12m and profit to just under 3M. The firm employs 236 staff in 11 offices across Scotland. We are delighted to report our continued success as a multi-disciplinary, market-leading property firm. 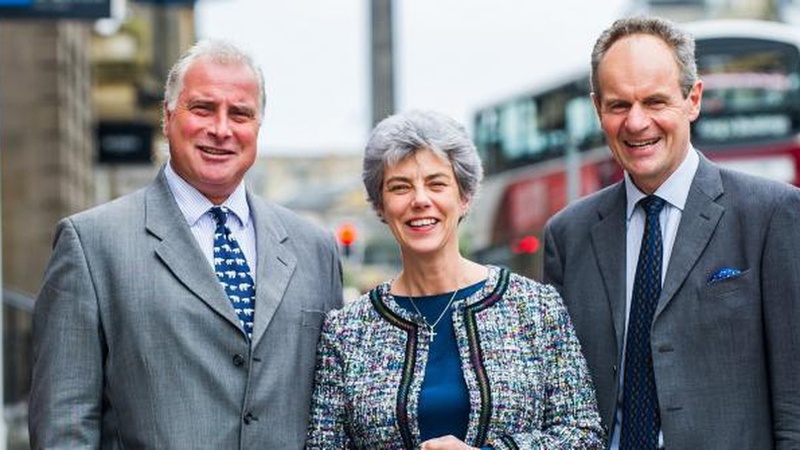 We have doubled our farm and estates agency income over the last year and have seen strong growth in the commercial division where only in the last few weeks we have completed significant international property investments in Edinburgh. We are delighted with Pam's appointment as CEO. Her depth and breadth of career experience and commercial overview will provide energy and good judgement to the future development of our business. Tim has carried out the role of CEO for this firm, and its predecessors, for 24 years. Over that period the business has been developed from a modest Highland-based land agency practice to the national firm it is today. Tim has produced opportunity, employment, expansion and profit, all delivered with endless patience, good humour, deep intelligence, and a unique blend of wisdom and creativity. He elected last year to hand on the office of CEO in 2016, in order to provide continuity of business management and to allow a successor to build a new and broad-based executive team to take the firm forward. We are wholly committed to further growth and continuing to outshine competition within Scotland, while also undertaking commissions from London to Belfast. I am absolutely delighted that the partners in the firm have given their support to my appointment and I have an extremely hard act to follow. Tim has more than anyone else - been instrumental in the development and growth of the firm and is handing over the reins of an extraordinarily successful business. I am looking forward to the challenge of picking up the baton and continuing our growth. I have been very fortunate and privileged to hold the office of CEO for so many years in which the firm has become established as a successful national company. This is testament to the quality of personal service offered by staff across our offices. I remain committed to the firm and believe that the time is right for us to plan for the future. I look forward to working closely with Pam who has outstanding business acumen and the skill to lead the firm into its next phase.